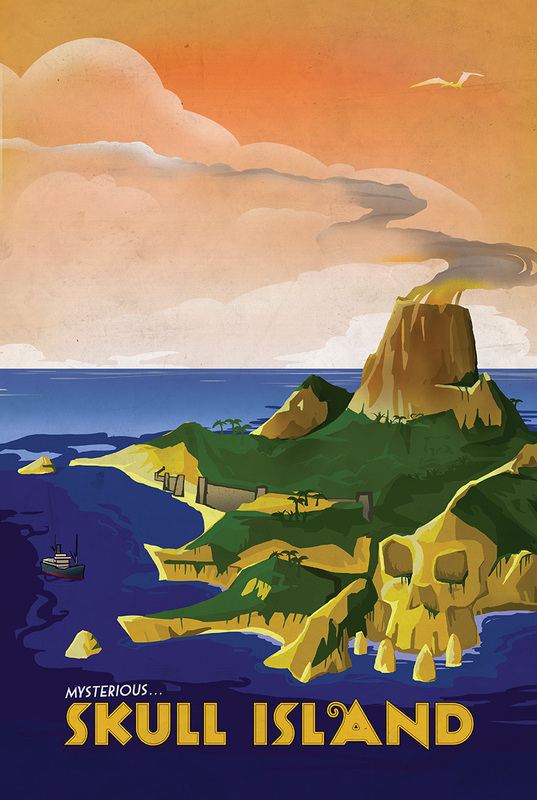 Welcome to mysterious Skull Island, the land that time forgot! This looks like a good place to monkey around for a bit. Venture forth and seek the mysteries of this beautiful and charming land. The natives sure seem friendly! Purchase this retro fantasy travel poster print at my Society 6 store!